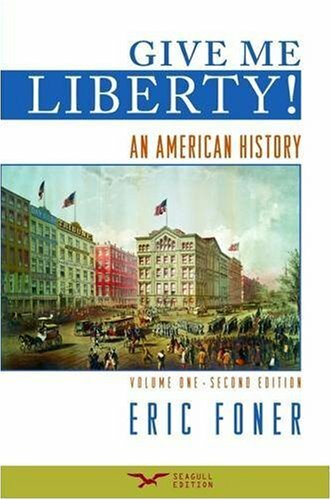 Concise, clear, compact, Eric Foner’s brilliant synthesis of American history is the perfect teaching tool for the U.S. survey course. Eric Foner is the preeminent historian of his generation, highly respected by historians of every stripe―whether they specialize in political history or social history. His books have won the top awards in the profession, and he has been president of both major history organizations: the American Historical Association and the Organization of American Historians. He has worked on every detail of Give Me Liberty!, which displays all of his trademark strengths as a scholar, teacher, and writer. A specialist on the Civil War/Reconstruction period, he regularly teaches the nineteenth-century survey at Columbia University, where he is DeWitt Clinton Professor of History. In 2011, Foner's The Fiery Trial: Abraham Lincoln and American Slavery won the Pulitzer Prize in History, the Bancroft Prize, and the Lincoln Prize.